Cancer is a leading cause of death in the world. In the United States one in two men and one in three women will be diagnosed with cancer in their lifetime. Yet, there is irrefutable evidence that the majority of cancer and the suffering that follows can be prevented through appropriate lifestyle choices. 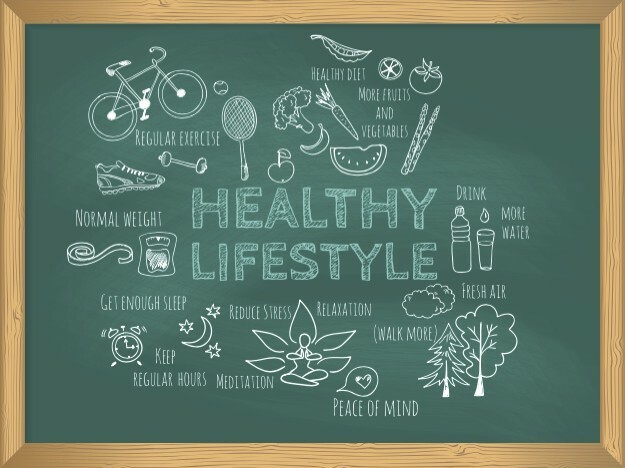 These same lifestyle factors influence outcomes for those with cancer. The following are the basic tenets, along with three simple tips, for AntiCancer Living. Follow this prescription if you wish to improve your health, decrease cancer risk, or improve your health if you have cancer. To reinvigorate yourself as we move into winter, look at your own mix of six. First, set yourself up for success by engaging in some preparation. We recommend starting with Love and Support and then ensuring that stress does not sabotage your efforts to improve your sleep, diet, and physical activity habits. Remember, in order to foster our own wellness we must be mindful about every choice we make as we engage in daily life. Don’t forget the pebble in the pond metaphor; one small step has a ripple effect and will improve your mix of six. 1. Engage your friends to help you start AntiCancer Living. Build your team — who will support your changes and even join in the fun? 2. Look for opportunities to share experiences with those you love vs. giving rewards like food and material items. 3. Affirm yourself for who you are and all you do. Then reach out and affirm another person with a specific observation of their strengths or provide them with some needed support. Stress Management: Engage in a stress management activity like meditation or yoga on a daily basis — in the morning, before bed, or when you need a “breather” in the middle of a busy day. This aspect of the prescription is critical, as chronic stress has not only been found to sabotage all good healthy intentions, but can negatively affect most biological processes, decreases the beneficial effects of healthy foods, and literally speeds the aging process. 1. Make an appointment on your calendar with yourself to meditate for at least 10 minutes a day. You can also do a movement-based mind-body practice daily like yoga or tai chi. 2. Be mindful in the moment. When stress mounts: stop, ground, and center before acting (stop what you are doing and take a few deep breaths to help clear your mind; literally ground yourself with both feet on the ground, scan your body and relax; center yourself by acknowledging the trigger, envision the ideal outcome, and act on it from a place of calm). 3. Participate in a six-week challenge of something new with a friend. If you are not engaging in a regular mind-body practice then find a friend and commit to exploring a new practice for 6 weeks. 1. Establish a bedtime for yourself and your children and stick to it. Keep weekday and weekend bedtimes similar to ensure you get the required amount of sleep each night. 2. Reduce ambient light in the bedroom. 3. Eliminate screen time before bed (TV, smartphone, backlit tablet, etc.) and carefully monitor and reduce stimulants like caffeine, alcohol, and sugar. 1. Cook in the morning when you are getting ready for work (put the beans and brown rice on while you shower) and cook for more than one meal at a time. 2. Fill half of your plate with vegetables. Decide on the vegetables first when planning a meal. Keeping the daily requirement of 5–7 servings of vegetables in mind, you will likely need to eat vegetables at breakfast. Try replacing meat with beans four times a week. 3. Look for sugar in EVERY product you buy — snacks, cereals, tomato sauces, and other processed foods are loaded with sugar. Whenever possible, refrain from buying and eating processed foods. Physical Activity: Exercise regularly — at least 30 minutes a day, 5–6 days a week, and children need at least 1 hour a day. It is critical to also limit sedentary behavior, as the harms of sedentary behavior and lack of exercise are equivalent to the health risks of smoking or obesity. 1. Wear a pedometer and make sure you take a minimum of 10,000 steps a day. Make an effort to sit less and stand more. Children need 15,000–20,000 steps a day. 2. Incorporate physical activity when you can throughout your day. For example, always take the stairs, walk on escalators or moving walkways, park in the farthest spot in the parking lot from your destination, conduct walking meetings, and stand at your desk (buy or make a standing desk) or when watching TV, etc. 3. Incorporate exercise throughout the day. Even 10-minute bouts every 2 hours count toward daily exercise. 1. Use glass containers for storage and stainless steel water bottles in order to reduce exposure to plastics that contain BPA or other plastic-based endocrine disruptors. 2. In personal-care products read the ingredients list and avoid parabens, other –“bens,” phthalates, tricolsan, and products with the term fragrance. All of these products are endocrine disruptors and/or carcinogenic. 3. Visit the Environment Working Group for detailed information on foods that you should preferably buy organic to decrease pesticide exposure and guidance on products and other strategies on decreasing exposure to environmental toxins. Now that you know all six pillars of AntiCancer Living, consider the best mix of six and encourage others to join you. Although you may stray off the path during the holidays, it is still right there beside you. Know it is not a straight line, but a winding road paved for your unique journey. Engage today and start AntiCancer Living.